The market conditions in India are not in favor of car manufacturers. While some are already present in international markets and are launching new products to maximize revenues, many automobile manufacturers are yet to explore new markets. 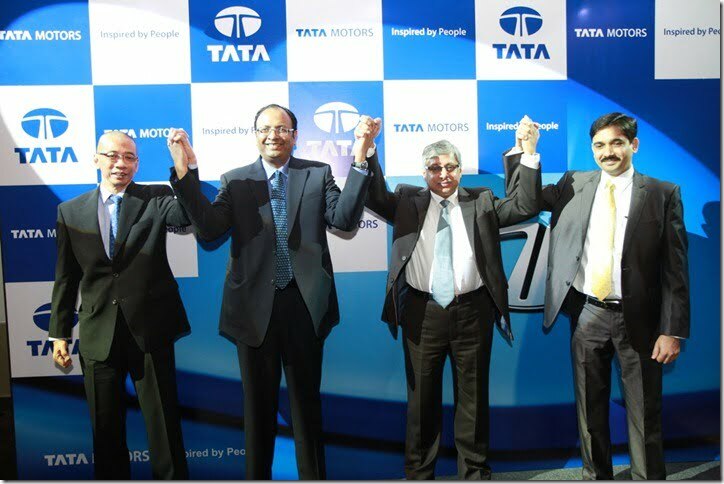 Tata Motors, which is one of the most versatile automobile manufacturers in India has stepped into an all new market. Today the company announced its entry into Indonesia, one of the largest automobile market in ASEAN. Instead of going for a joint venture initially, Tata Motors has opted for a wholly owned Jakarta based subsidiary, PT Tata Motors Indonesia. With this new subsidiary the company will target both the passenger car and commercial vehicle segments. The reason to why Tata has opted for the Indonesian market, is the diversity of the very market. A wide range of products from small cars to buses and from light mini trucks to heavy duty commercial vehicles, are sold in Jakarta and this step could prove to be very profitable as Tata is very active in similar segments in India. As of now the company will prepare itself for the Indonesian market and from early 2013, it will start launching products in the passenger as well as commercial vehicle space. To start with the company will have 10 to 15 dealers nationwide who will sales, service and spare parts. In the next three years, the company wishes to expand its network and include 60 full-service dealers, 100 other workshops and about 300 spare parts retailers. The company might also consider setting up a manufacturing facility of its own to serve Indonesia and other ASEAN countries.